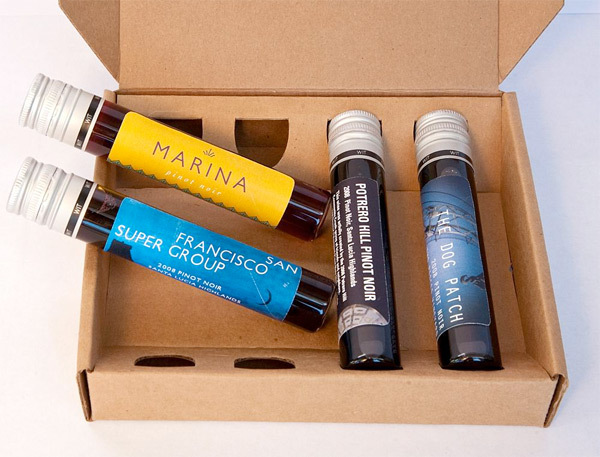 Love of wine + packaging + test tubes? When i spotted these wine tasters over at Springwise. This example of Tryvertising (i must admit that word pains me quite a bit)… comes from Brixr in San Francisco. These 50mL vials are adorable ~ though some people seem to be debating whether 2ozs are enough to know which one you like best… see a few more packaging pics on the next page! 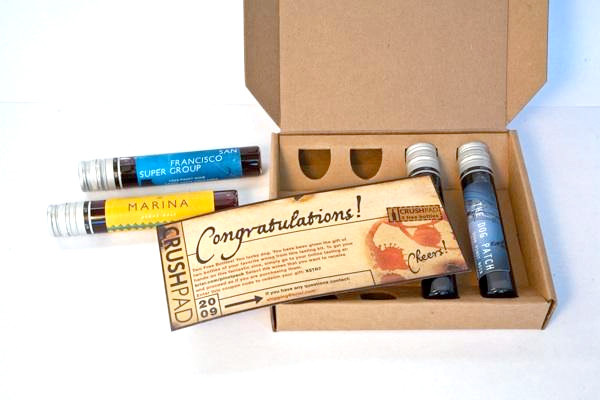 What a pretty cool idea to put liquid stuff in a shipping tube. I wonder if the mailing service would let my wife do that. Well, she wants to put our son’s favorite Dr. Pepper soda on a shipping tube and sent it to him. This is the most awesome idea EVER! Brilliant. 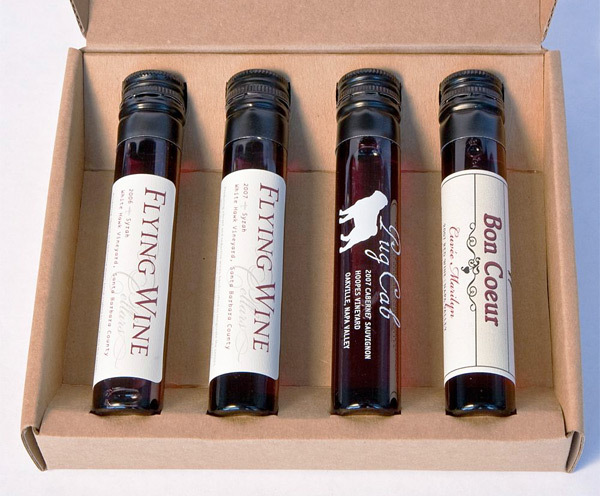 My aunt is really into wine tasting so I’m definitely getting this for her birthday. Any wine no matter how big or small is call for celebration! I got some of these for my wife as one of her xmas gifts this year. We’ll see how they are in a couple of days.